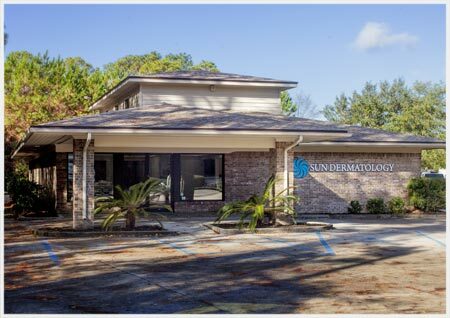 Sun Dermatology’s newly renovated 5800 square foot facility in Panama City has been beautifully appointed and features some of the latest and greatest technologies in the world of dermatology. 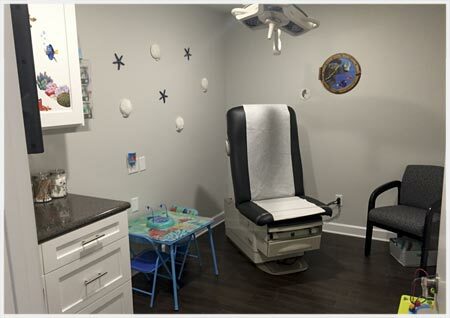 With patient comfort in mind, each room has been thoughtfully designed to ensure an enjoyable experience. Our building features 5 surgical suites, 4 general dermatology exam suites, a pediatric suite, a lead-lined room for superficial radiotherapy treatments, a laser and cosmetic suite, a photo-dynamic therapy room, and a CLIA certified laboratory. Each of our five surgical suites feature flat screen TVs with everything from cable network, to music and video network access. Our pediatric room features toys and entertainment to keep the wee-ones occupied during their unique dermatology experience. 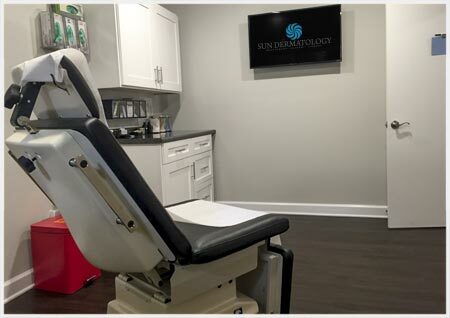 Our lead-lined Superficial Radiotherapy Treatment Suite features the SRT-100 for the non-surgical treatment of skin cancer. 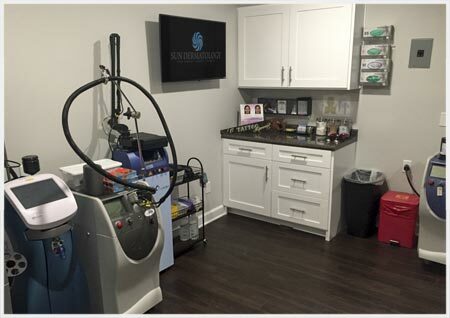 Our laser suite features 6 different lasers for all of your cosmetic needs. 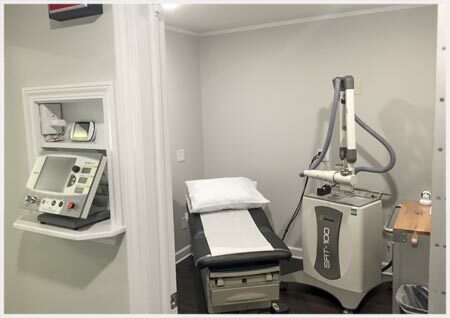 Whether it’s brown spots, red spots, tattoo removal, scar treatment, or complete laser resurfacing, we have just the laser to get the job done. 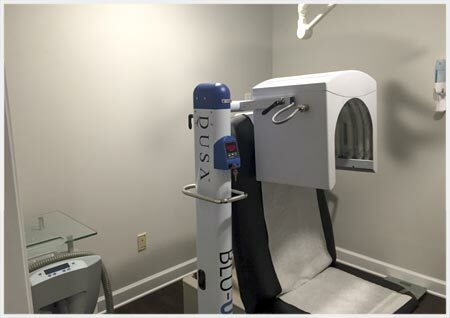 Our Photodynamic Therapy Suite – Blue Light room) features Zimmer coolers to aid patient comfort throughout the PDT treatment. 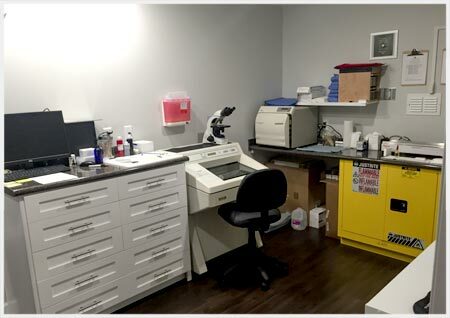 Our On-Site, CLIA-Certified Laboratory allows real-time processing of skin cancer specimens during our Mohs procedure.